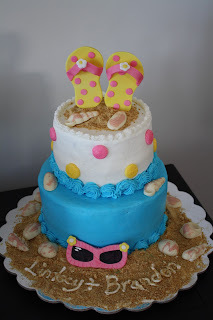 Here are the pictures from the Flip Flop Shower that we had for my cousin Lindsey. 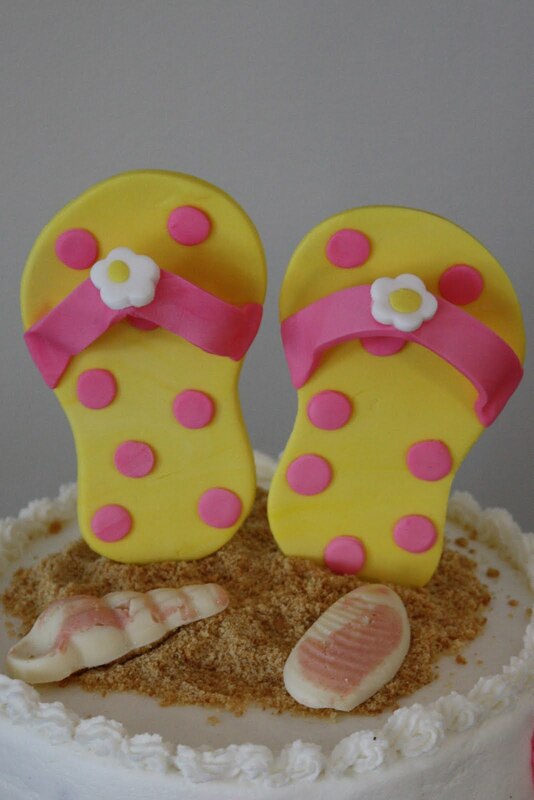 The shower was at my aunt's house on the beach, so we decided that flip flops would make a cute theme. The top tier of the cake was chocolate cake with Oreo buttercream filling and the bottom tier was the bride-to-be's favorite, vanilla cake with vanilla buttercream (although once she tasted the chocolate she seemed to change her mind). With my sister as my assistant, I iced the sugar cookie favors to match the little gumpaste flip flops on the cake. It was a great shower...stay tuned for the wedding in October. Guess who's making the wedding cake??? 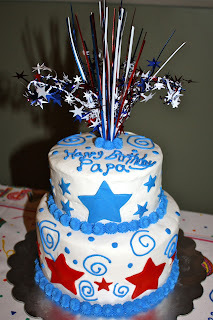 My daughter Addie and I made this cupcake cake for her Poppy's (my dad's) birthday. It was chocolate cake with Oreo buttercream filling covered in buttercream with fondant pink sprinkles (his favorite color) and a fondant cherry on top. I also made a milk chocolate cupcake liner for the cake to sit in. 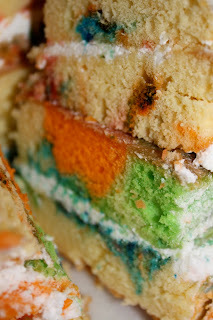 Poppy loved his cake and the kids loved eating it with him. Happy Birthday Dad! I had so much fun making these cupcakes and just love their little faces. These were for a little boy's 5th birthday party. The cupcakes are half chocolate and half vanilla. They are all iced in green buttercream with a fondant topper. At first I thought the monkeys were my favorite, but now I think I'm loving the giraffes! Good thing I made a few extras because these weren't leaving the house without a fight from my own kids! Kake has been a business for a little less than 2 months now. And already I have a had some repeat business. I guess I must being doing something right. People seem to like how things look and taste. These hydrangea cupcakes were for the bride who had them at her shower a few weeks ago. 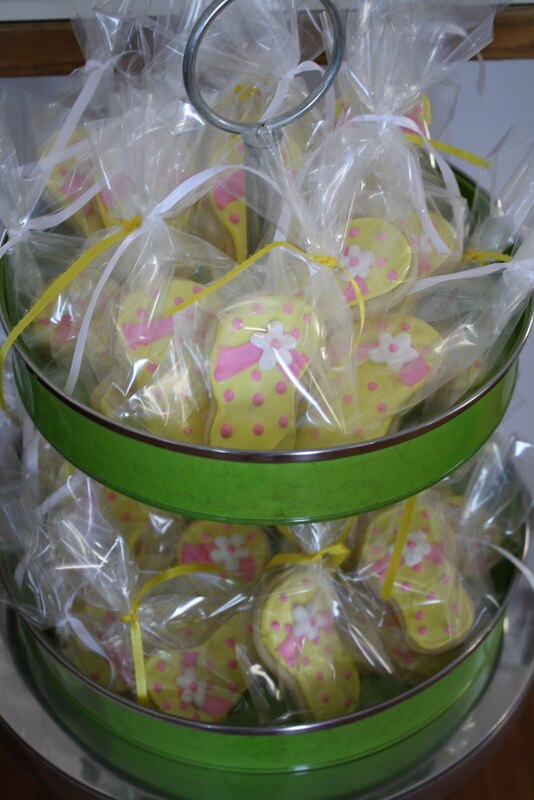 She liked them so much that she ordered them for her rehearsal dinner. They are carrot cake with cream cheese filling and cream cheese buttercream. My daughter Addie and I made this cake for her great-grandfather's 92nd birthday. He loves lighthouses, so we had to put one on his cake. The cake was chocolate cake with Oreo buttercream filling and iced and decorated in buttercream. He loved the cake, which I'll take as a big compliment seeing as he's definitely been around his fair share of birthday cakes! Happy Birthday Gramps! 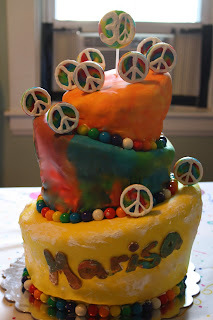 This cake was for my sister-in-law's 3oth Hippy themed groovy birthday party. 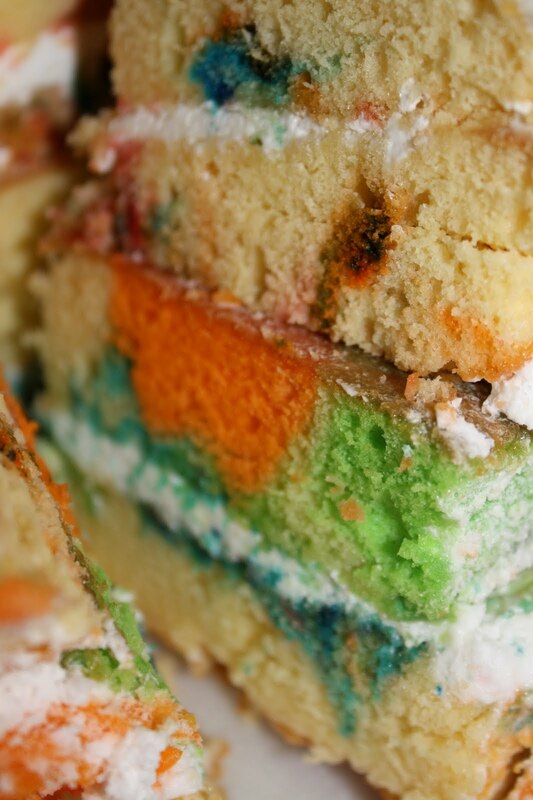 This was my first attempt at a topsy turvy cake and tye-died fondant. 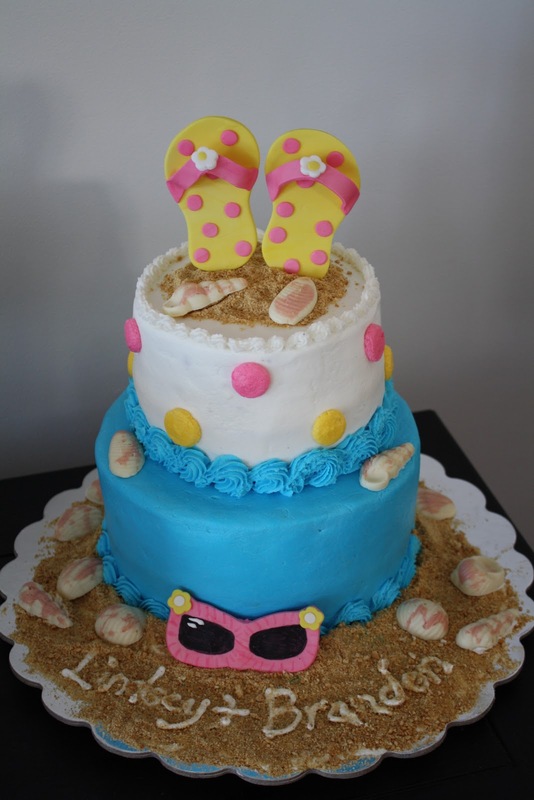 The top and bottom tiers were yellow tye-died cake with buttercream filling. The middle tier was chocolate cake with Oreo buttercream filling. The entire cake is covered in buttercream fondant, and it's decorated with gumballs and lollipops that I piped peace signs onto. Happy 30th Marisa, you're one groovy chick! 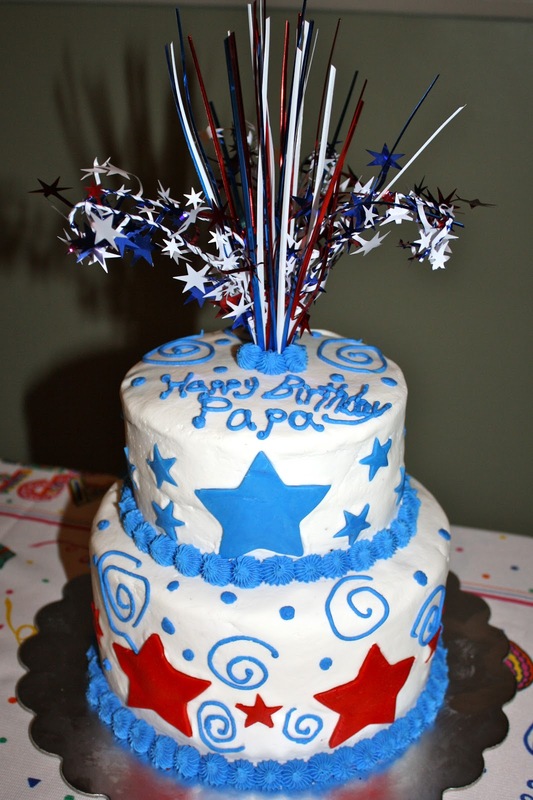 My daughter Addie and I made this cake for her Papa's birthday on July 3rd. The top tier was chocolate cake with Oreo buttercream filling and the bottom tier was yellow cake with vanilla buttercream filling. 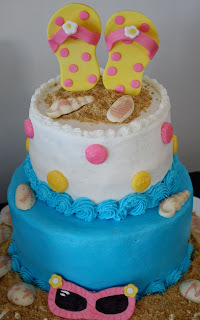 The cake was iced in buttercream with fondant decorations. 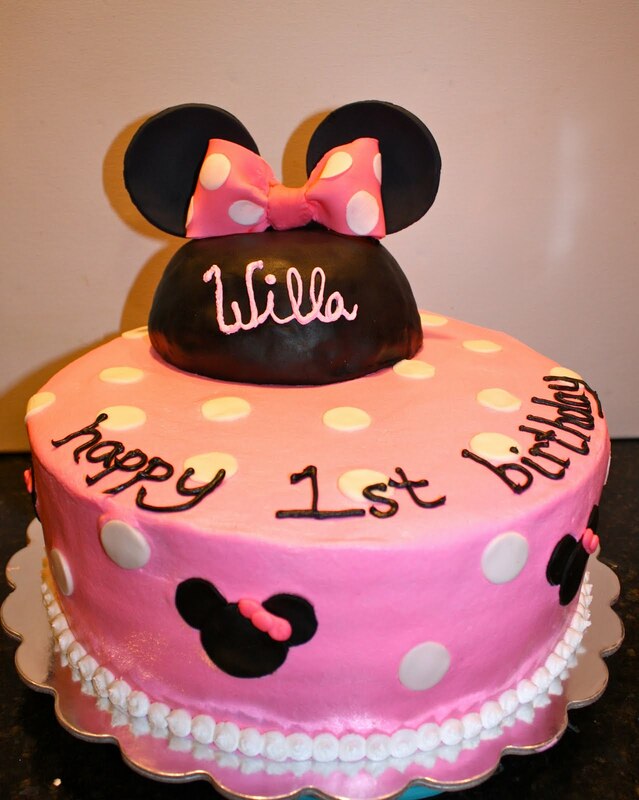 These cakes were for my friend Jen's little girl Willa's 1st birthday. Jen said that Willa had loved Disney when they went on a recent trip, so we embraced the Minnie theme. 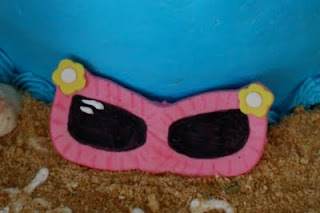 The cake was chocolate with an Oreo buttercream filling decorated with buttercream, fondant and gumpaste. 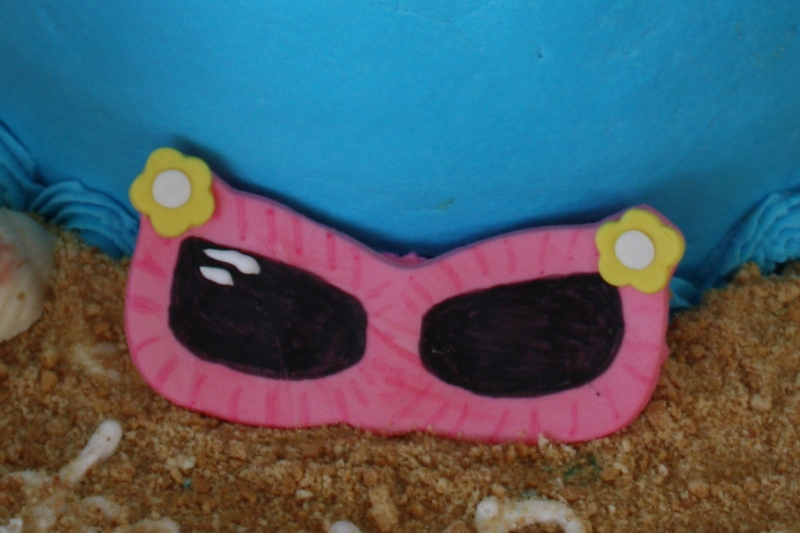 The little smash cake was yellow cake with buttercream filling and icing. Happy 1st Birthday Willa! Just some little rose cupcakes for friends. These were yellow cupcakes with vanilla buttercream roses. 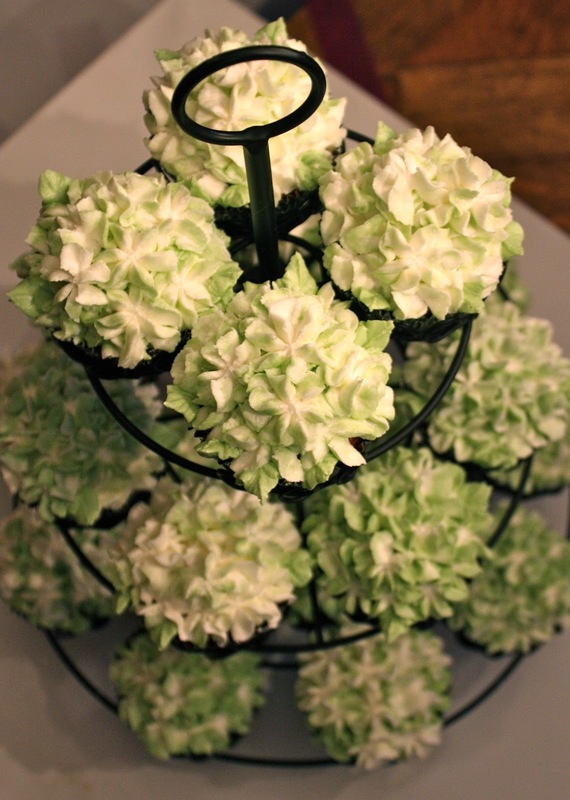 These hydrangea cupcakes were for a bridal shower. They were carrot cake cupcakes with a cream cheese filling and cream cheese buttercream hydrangeas. This cake was for the music teacher at my school. 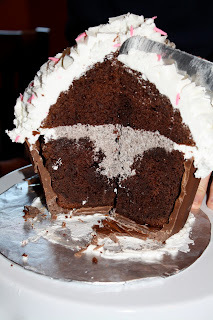 It was her favorite cake combination, chocolate cake with chocolate mousse filling and fresh whipped cream icing. The music notes and letters were made of chocolate, and the cake was surrounded with chocolate covered strawberries. Happy Retirement Martha!